R is the official queen of chain restaurants. It’s not by choice, it’s by family requirement. Name any chain restaurant and she’ll tell you what she’d order. She has their phone numbers on speed dial. I wouldn’t make this up. So for a birthday dinner for this christmas jewish baby, I told her she could pick whatever chain restaurant she wanted. And thus, we landed at Texas Roadhouse. Until R told me about it a bit back, I’d never heard of it. Mostly because there isn’t one near me. The closest is in Montgomeryville. 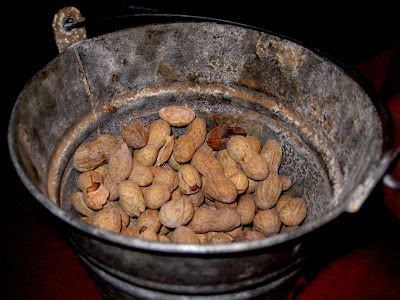 You get to eat peanuts while you wait, and they even give you a bucket of peanuts at your table. Best part? You get to throw the shells anywhere you damn well please. Or at least on the ground. They’re actually good peanuts to boot. 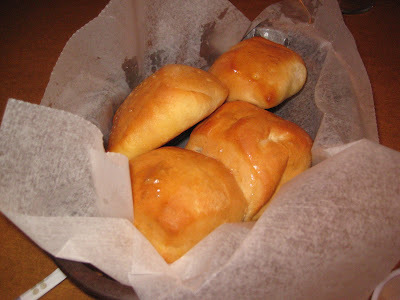 You get a basket of delicious rolls. Damn, these rolls were dreamy. Warm, sweet, delicious, and served with softened cinnamon butter. Hot diggity! These rolls would make a fine meal. Most entrees come with two sides, so I got a mixed salad as one of them. This is the type of salad I love. No fancy microgreens to be found, chunks of tomato, hard boiled eggs, cheese, croutons, and an awesome vinaigrette. 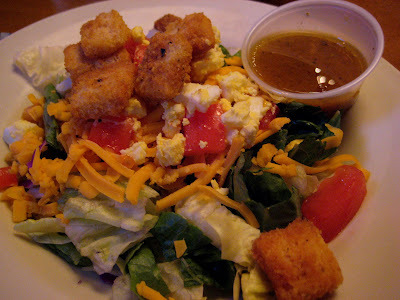 I loved this salad. 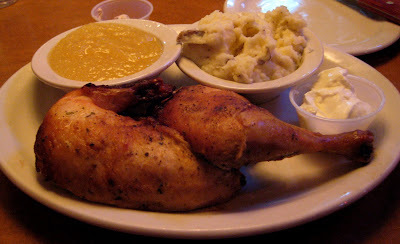 R got her old standby: oven roasted chicken (which is half a freakin chicken), with sides of mashed and apple sauce. They slow roast this puppy until it’s super tender and moist. 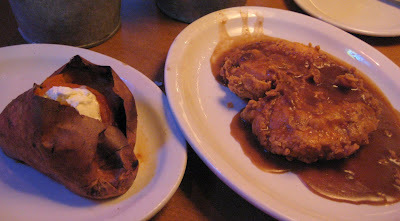 I went with the country fried chicken and a baked sweet potato. This chicken was huge. That ain’t a small plate. And it was flattened, battered, fried, and doused with delicious gravy. You know how I feel about gravy. And I love me some sweet potatoes, so I was all about this one which was cooked to perfection. 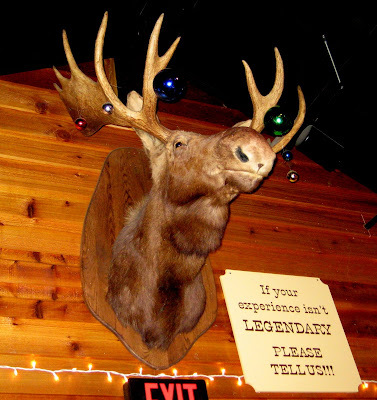 This is a familiy restaurant, so there’s some shenanigans that go on here. If it’s your birthday, they come out and sing to you and make you sit on a saddle. They dance. There’s lots of hootin and hollerin. They also sing other stuff. This goes on all night. But the food is extremely affordable. Even the drinks are affordable. The portions are large but not freakishly large. And the food is good, yo. This is why places like these are popular. And for another birthday, I’d certainly come back.